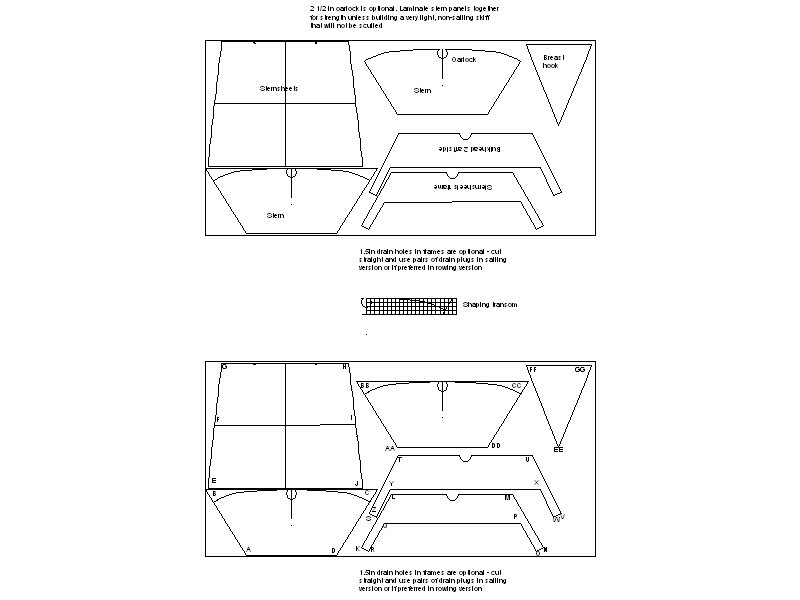 Is anyone building the stitch-and-glue intheboatshed.net skiff? The intheboatshed.net post offering free plans for the Julie skiff has been the most popular individual element of this weblog for some time. It’s been viewed by thousands of people and, naturally, we’re delighted at all the attention it has been receiving. 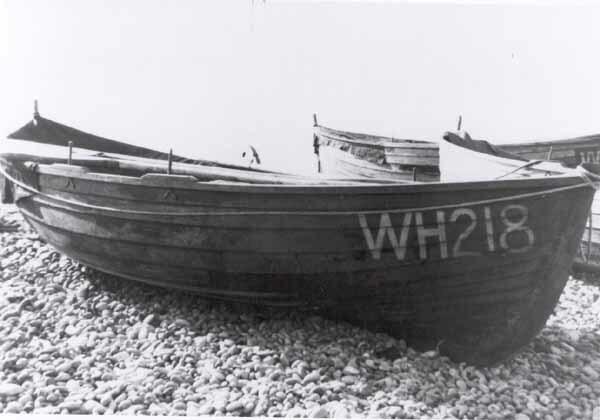 But although we’ve heard that various people have planned to build it, we’re not aware of anyone starting a Julie skiff project, let along finishing one. Is there anyone out there building this boat? If you are building this spring, please let us know at gmatkin@gmail.com – We’d be especially grateful for reports of how the building goes, and for photos of both the building and the completed boat that we can post here at intheboatshed.net. I’d also be very pleased to receive any photos of models anyone may have built. Both Ben Crawshaw (thanks Ben!) and the designer have had a go, and in any case it’s always good to build a model before building a boat like this. In case you’re wondering, I do still intend to draw a couple of traditionally-inspired sailing rigs, a more traditional chine-log version, and also a 17ft version for two rowers. It’s just that I’ve been very busy organising both a small folk festival (Frittenden Festival – Sing, dance and play) and a wedding. In addition the usual ups and downs of work, music making and family life, they’re more than enough to keep a chap busy, I can tell you! Author Gavin AtkinPosted on January 30, 2009 July 7, 2015 Categories Boatbuilders and restorers, Boating, boats, ships and the sea, Designs and designers, boat plans,books of plans, Free boat plans online, Modern boatbuilding, River boats, Sailing cruisers, Small boats, TechniquesTags boat, building, crawshaw, epoxy, julie, model, photo, ply, rower, rowing, skiff, stitch and glue, tack and tapeLeave a comment on Is anyone building the stitch-and-glue intheboatshed.net skiff? I was particularly struck by one post about thole pins that might interest rowers in particular. Some appear not to have been used, while others are clearly very important to the boat’s owners, yet others show a characterful kind of neglect.